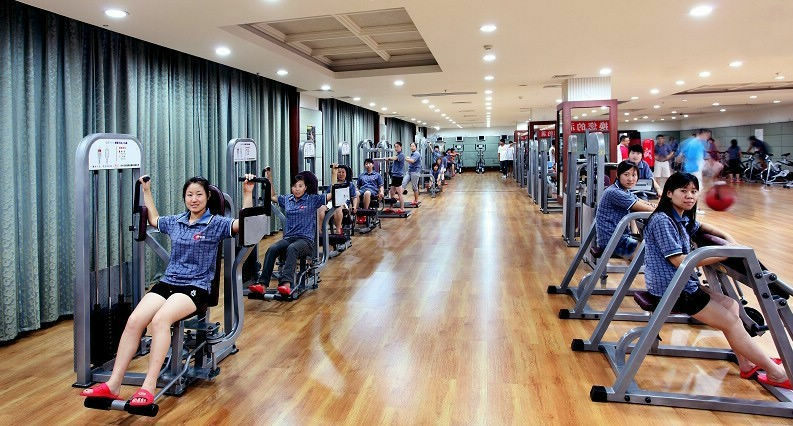 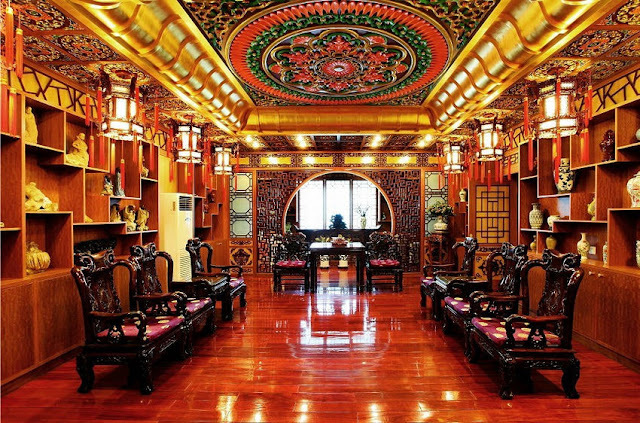 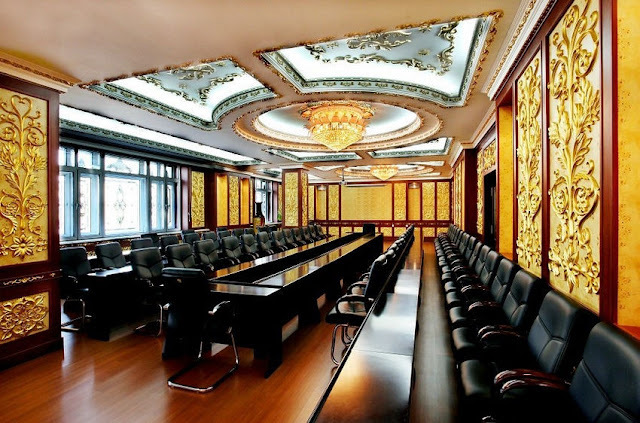 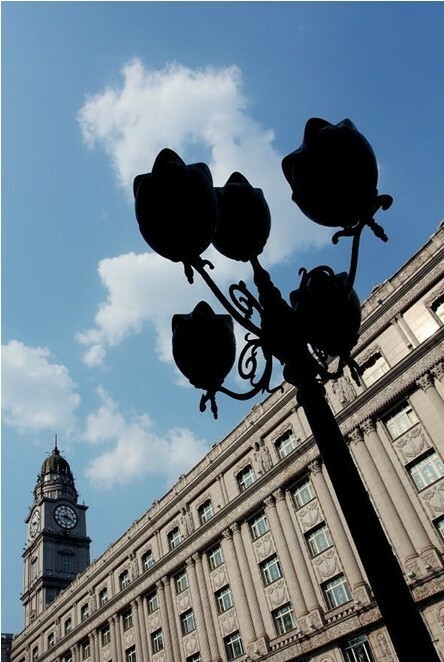 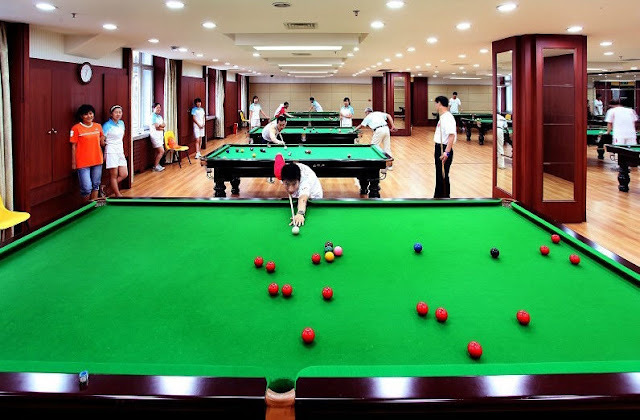 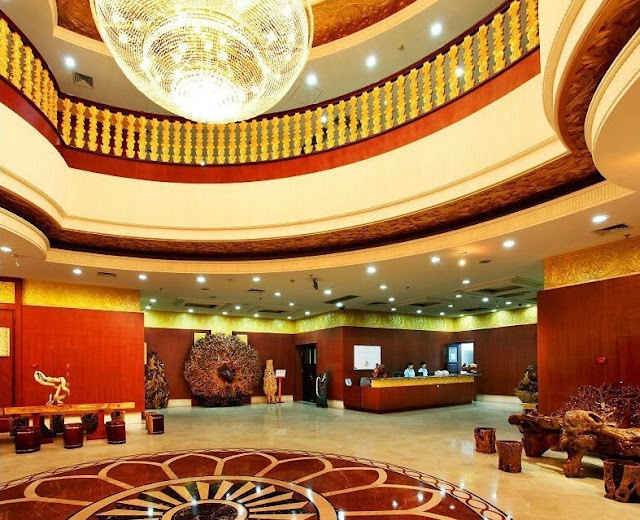 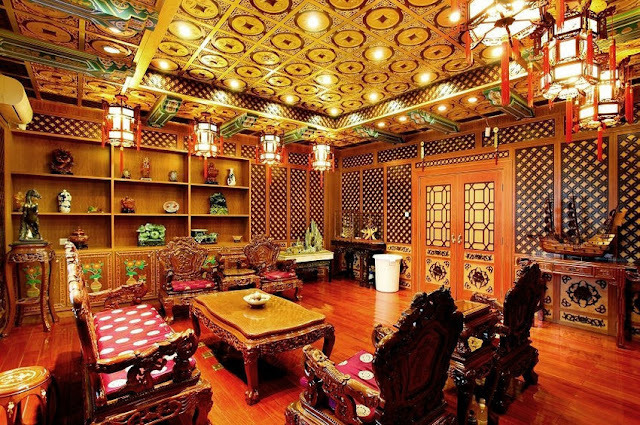 The luxury interior decoration of the office building belonging to the state-owned Harbin Pharmaceutical Group Sixth factory in Harbin, in northeast China's Heilongjiang province. 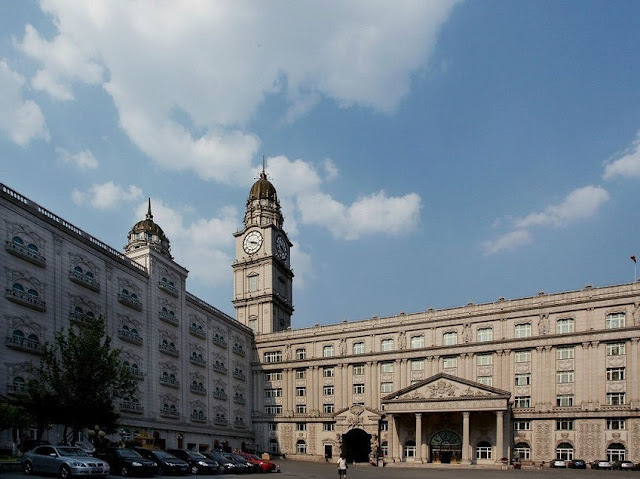 The building contains three floors of offices and three more floors of a print museum belonging to the state-owned pharmaceutical firm. 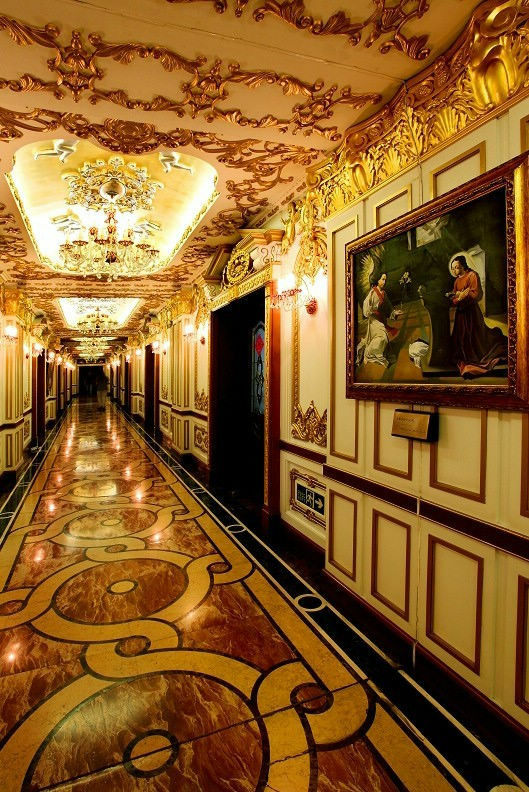 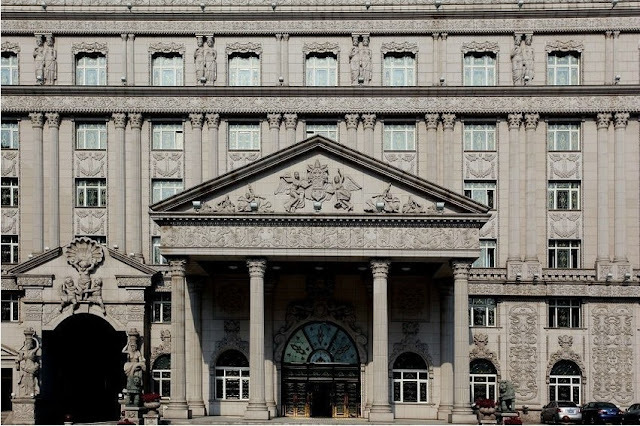 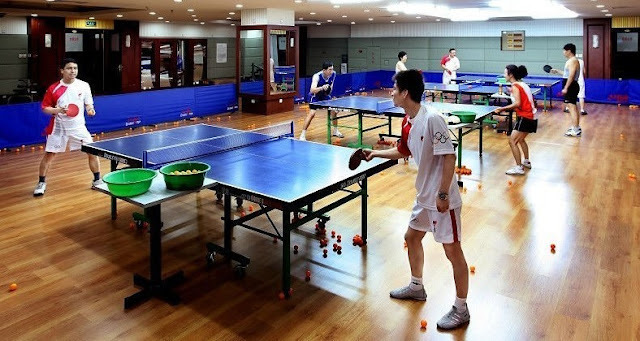 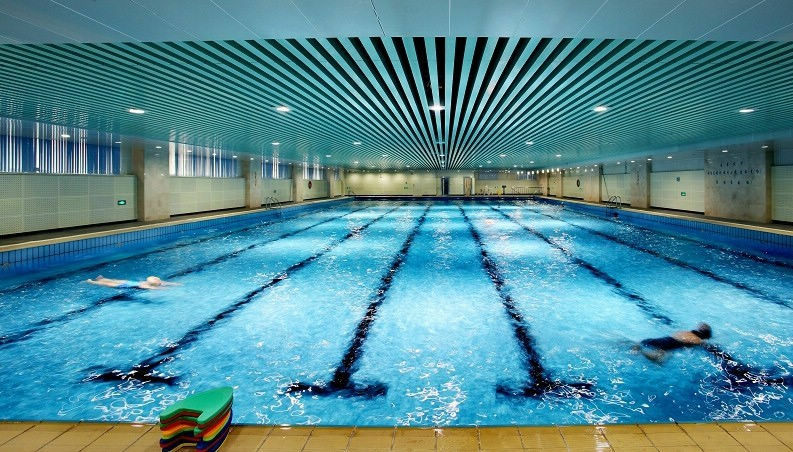 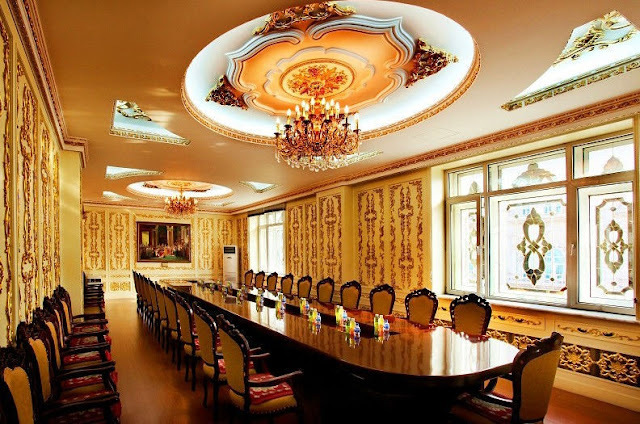 It looks more like a view of a luxurious palace for one of the world's richest leaders - but this is actually the interior of an office building. Even more surprising is that the block is in China, a country more known for its minimalist, functional approach. 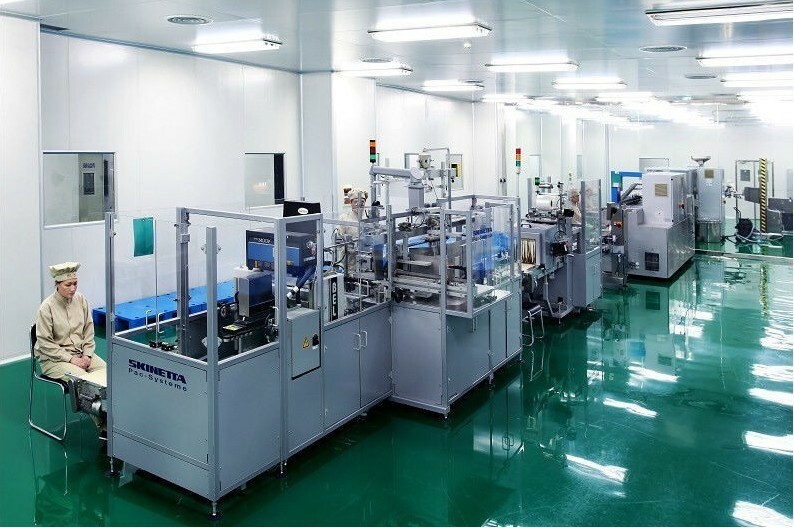 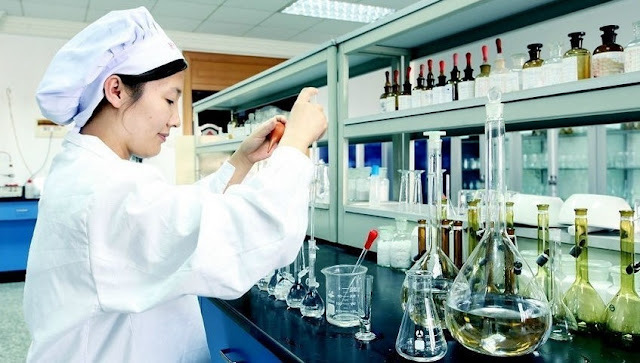 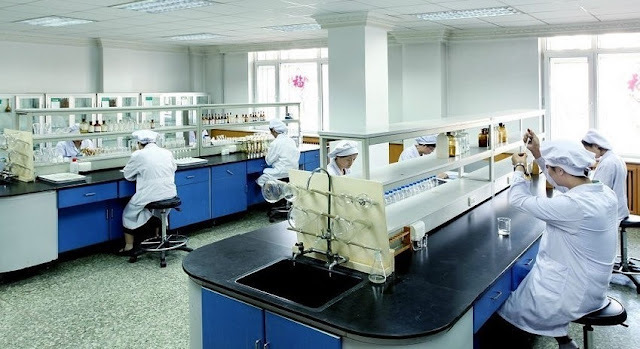 Harbin Pharmaceutical Group appears to have modelled its factory in Harbin, in the northeast of Heilongjiang province, on the Palace of Versailles. 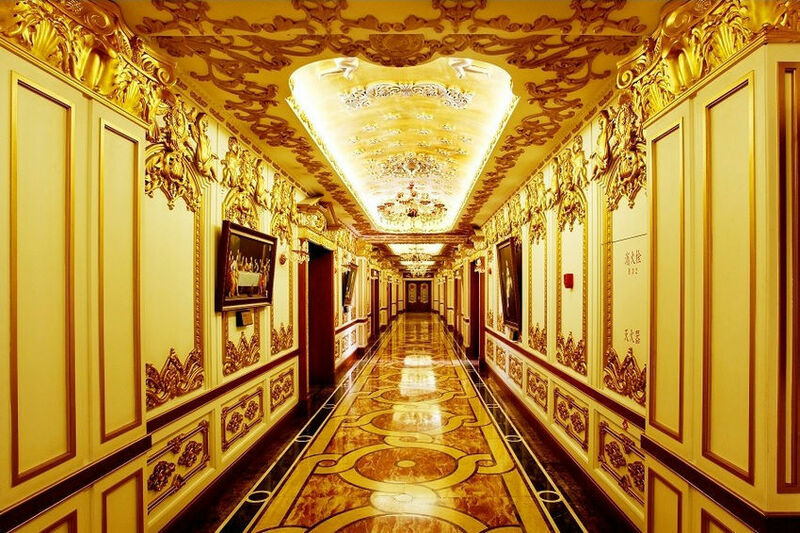 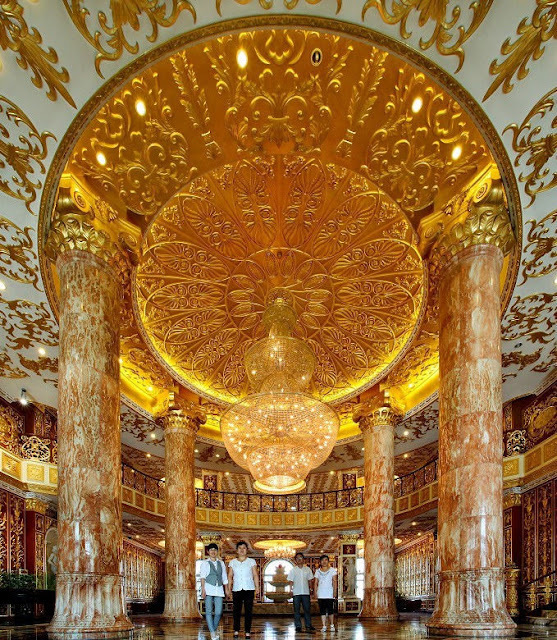 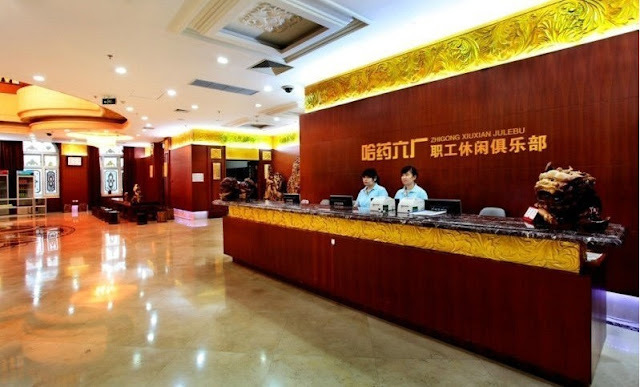 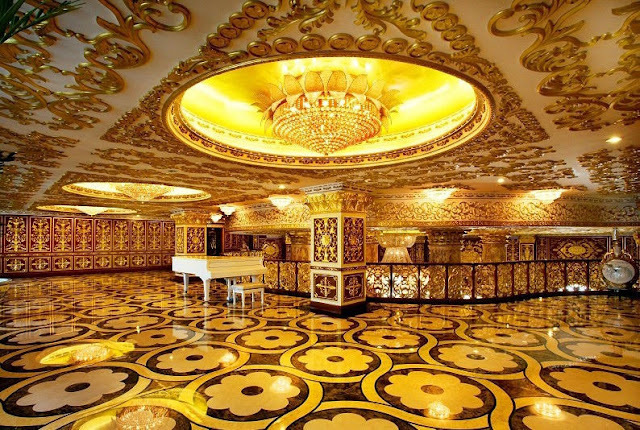 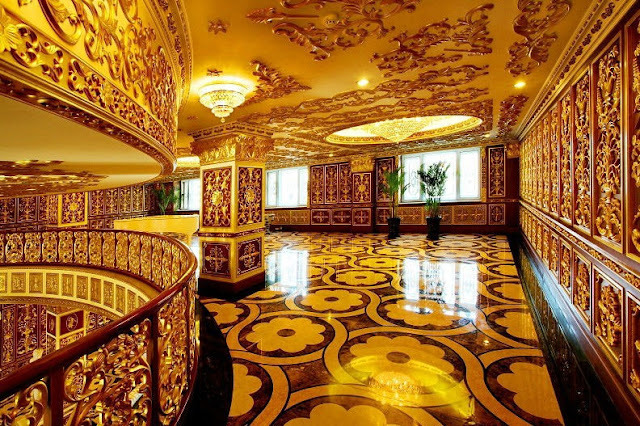 The state-owned drug firm has caused outrage with the lavish decoration, which includes gold-tinted walls and chandeliers.